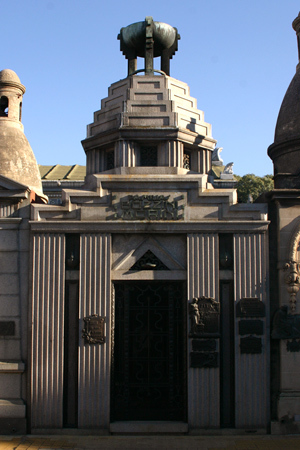 Much like the creation of Recoleta Cemetery, the Cementerio de la Chacarita owes its location to land confiscated from a religious order. 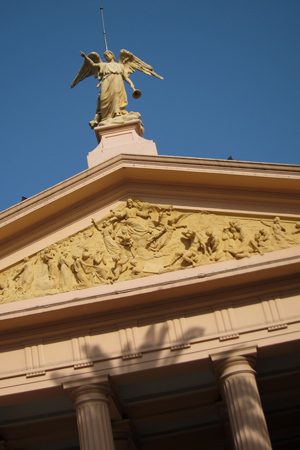 In this case it was the Jesuits–not the Recoletos–who were expelled in 1767. The area took its name from a diminutive form of the word “chacra” or “chácara,” meaning small farm or plantation, & refers to its original use. City officials had no urgent need to occupy the land until the devastating 1871 yellow fever outbreak. 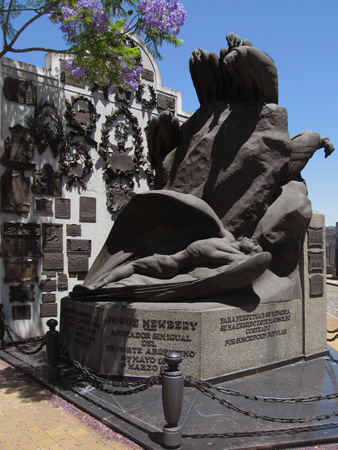 Recoleta prohibited the burial of victims of any epidemic, while the smaller Cementerio del Sur could not cope with the estimated 14,000 dead. 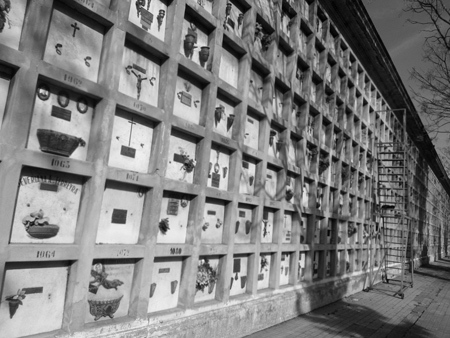 Drastic measures needed to be taken & the massive, 70-block Chacarita Cemetery was born. Trolley lines nearby helped handle increased traffic. 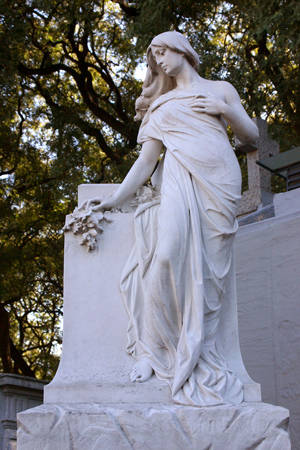 Due to its size, the creation of of a cemetery in Chacarita made its predecessor in Recoleta more exclusive. 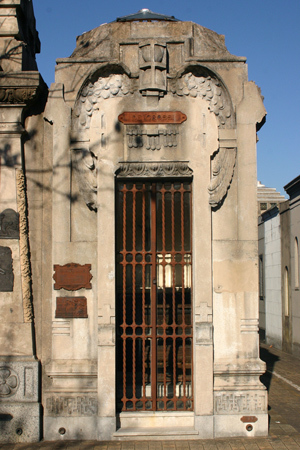 To this day, Chacarita is for burials of the common man while Recoleta is typically for those who are better off. 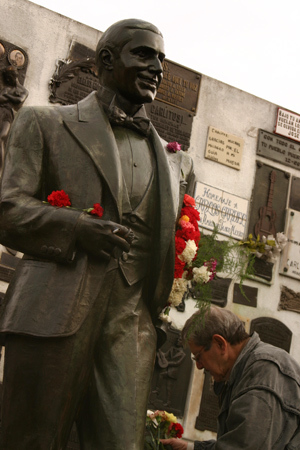 But that isn’t to say that there’s nothing elegant about Chacarita… quite the contrary. Split into many sectors, decorative vaults congregate around the main entrance while niches are off to the side & underground in the center. 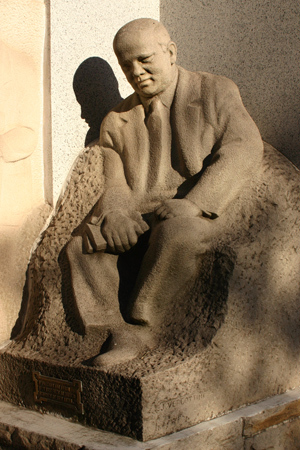 Scattered around are collective mausoleums, either based on profession (burial included as part of union dues) or by association membership (sports clubs or beneficiary societies, for example). Take note: visiting or photographing these mausoleums is prohibited by non-members even if doors are open… caretakers are fairly zealous about that. 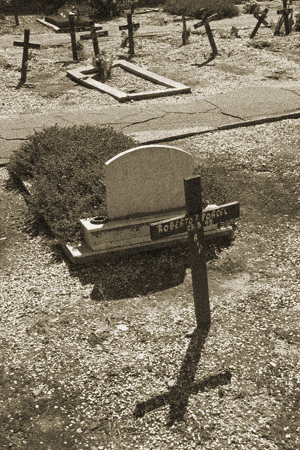 A large portion of the cemetery is occupied by plots which are constantly recycled. 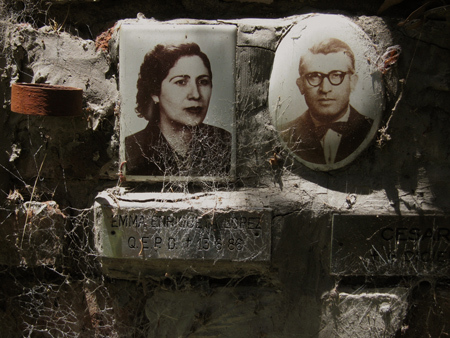 Social benefits in Argentina include free burial… but not forever. 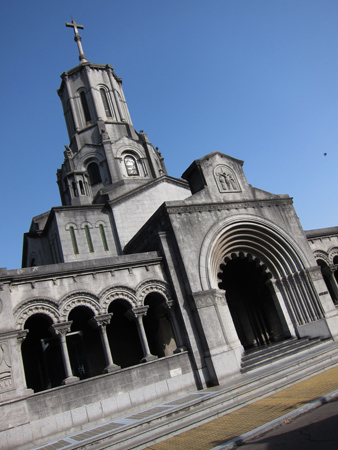 If family does not pay for basic maintenance past a certain number of years, the casket is removed, cremated & the ashes are scattered at the ossuary along the eastern wall. Hundreds of plaques adorn this spot, making it one of the most moving in the cemetery. 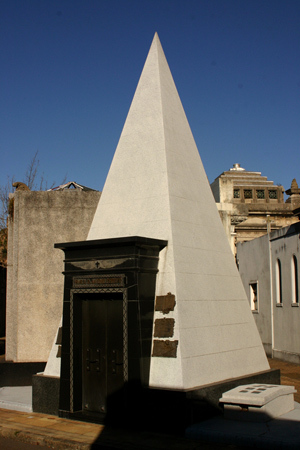 Are there famous people buried inside the confines of Chacarita Cemetery? Certainly. Probably the most recognized person is Carlos Gardel, but several other tango legends keep him company like Tita Merello & Celedonio Flores. 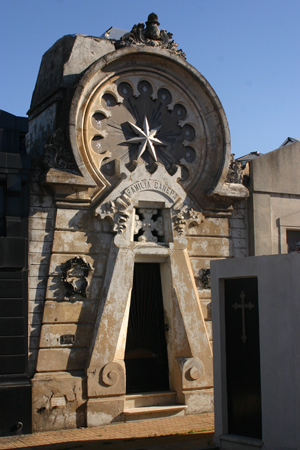 Juan Domingo Perón was once buried there as well, his hands removed with a saw & stolen, but since 2006 he rests in relative peace in his former estate in San Vicente. 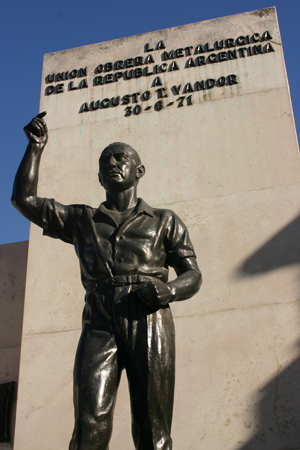 Perón’s rival while in exile, Augusto Vandor, is easily visible from the entrance as is aviator Jorge Newbery. 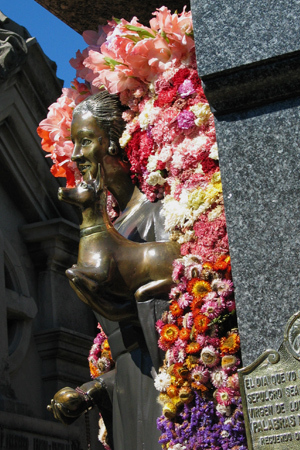 Popular saints like Hermanita Irma, sporting a chihuahua, & Madre María receive thousands of visitors each year. 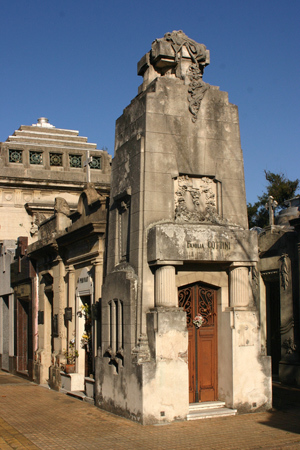 The Roverano family even left Recoleta Cemetery & moved the family plot to Chacarita. The best part about Chacarita is that there is literally something to discover around every corner. 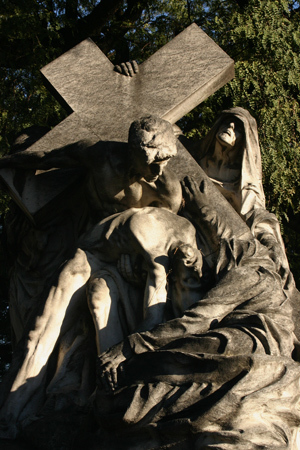 Unfortunately there is no blog about the cemetery… enough material certainly exists. 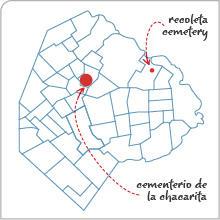 But a webpage maintained by Hernán Santiago Vizzari does a nice job of presenting Chacarita Cemetery’s history & unique character (Spanish only). Some content originally published as a series of several posts in June 2008 on an older version of my blog, Endless Mile. 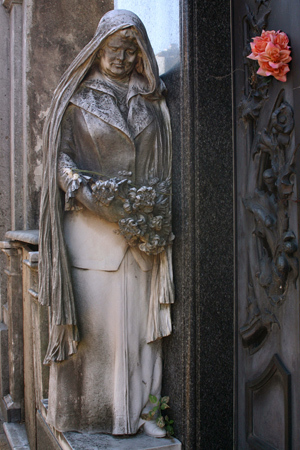 En Chacarita también hay una “tumba” Eva Perón. En realidad es un Cenotafio, una pared ( al menos así lo recuerdo ) cubierta de placas de homenaje. Recuerdo que en una de mis visitas a Chacarita sorprendí a un falso guía con un grupito de extranjeros contándoles que ésa era la tumba de Eva… En fin, no comments. Hola Mario! Sí, tanto tiempo… estás de vuelta :-) Espero que estés bien. 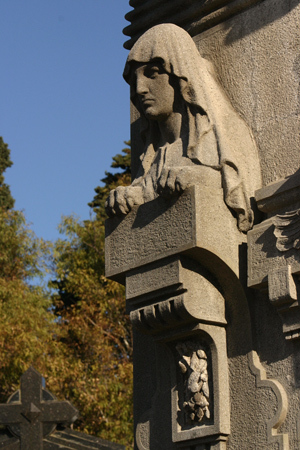 Hola Silvia – Este es un blog de fotos con algo de historia asi que no formamos parte de la Administración del cementerio. Si entrás en la página del gobierno de la ciudad de Buenos Aires, supongo que hay contactos ahí que te pueden ayudar. Suerte y saludos!